recoup expenses from Deacon's vetting. Pulled from a high kill Memphis, TN animal control facility. We have received Deacon from Imminent Danger German Shepherd Rescue, because he is not the type of dog who will make a good family pet. However, Deacon will be entered into our K-9 training program. Deacon's interactions with us as we go about daily kennel life have proven he is an enormous ego and attitude, he is willing to do what it takes to get his way. Driven? Yep! 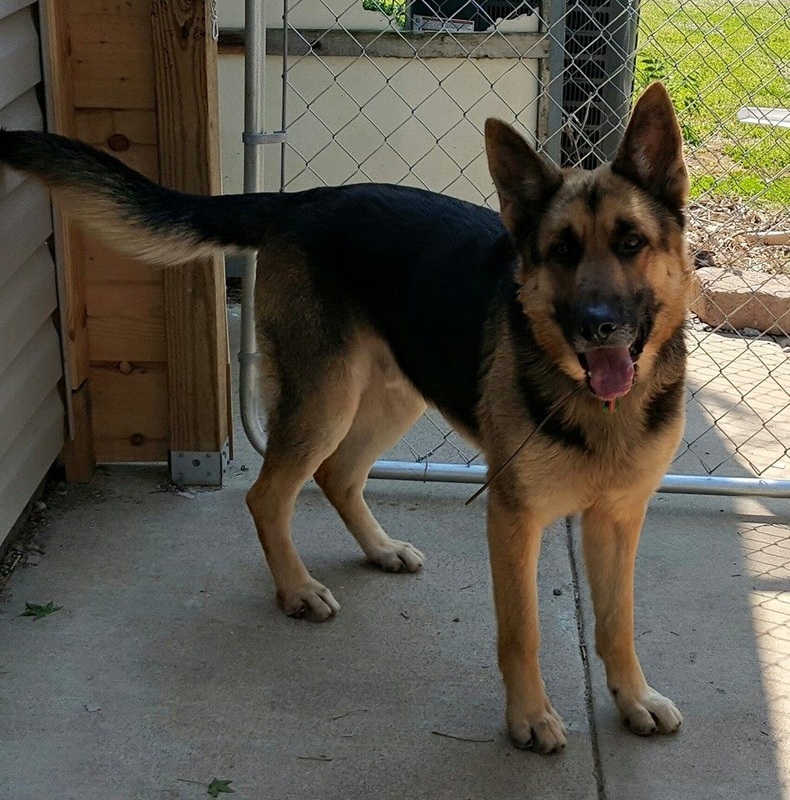 Deacon will need placement in a German Shepherd savvy working situation, because this boy without the correct type of training is going to be a handful..
Deacon will not be paired with an officer with children at home.